Bell, Arthur H, Dayle, M. Smith and Bhavna Bhalla. Developing Leadership Abilities. Second Ed. New Delhi: Dorling Kindersley (India) Pvt. Ltd. [Pearson], 2013. Print. [ISBN 978-81-317-9193-6]. Kline, John A and Bhavna Bhalla. Speaking Effectively: Achieving Excellence in Presentations. New Delhi: Dorling Kindersley (India) Pvt. Ltd. [Pearson], 2013. Print. [ISBN 978-81-317-9192-9]. Mishra, A, Gautam, A, Joshi, D and B. Bhalla. “Latent Leadership Roles across Levels for Effective Rural Communication: Leadership and Management”. Beyond Norms: Management for Excellence. Ed. R. Chopra, S. Puri, J. Ranjan and G. Malhotra. New Delhi: Bloomsbury Publishing India Pvt. Ltd, 2013. 226 – 235. Print. [ISBN 978-93-82563-44-0]. Bhalla, B. “Principles of Sanskrit Poetics in Contemporary Context: The Rasadhvani Approach to J. M. Coetzee’s Slow Man”. India in the world. Ed. Cristina M. Gámez-Fernández and Antonia Navarro-Tejero. UK: Cambridge Scholars Publishing, 2011. 135 – 142. Print. “Understanding Communication through Indian Knowledge Tradition” as Conference Proceedings for the Third International Conference on Communication and Media (i-COME’12) organized by Universiti Utara, Malaysia at Parkroyal Resort, Penang, Malaysia 2012. [e-ISBN 978-983-44150-7-5]. Bhalla, B. “The Power of Gunas in J. M. Coetzee’s Waiting for the Barbarians.” International Journal of Arts and Sciences. 14.4 (2011): 263 – 270. CD-ROM. [ISSN 1944-6934]. “Dhvani and Rasa: Their Interrelation and Role in the Process of Poetic Creation” in LiCuS – Journal of Literary Theory and Cultural Studies 4 (2008): 15 – 24. Puri, S, Ranjan, J, Khanna, A and B. Bhalla. “Magic Automobiles”. The Case Centre (ECCH): 2013. 7 pages. Reference no. 513-082-1. “Effective Communication Flow in Rural Governance”. Sustainability and Development: Paradigm Shift in Knowledge Creation and Innovation. Eds. Ajay Singh, Jay Mitra and Neeraj Awasthy. New Delhi: Bloomsbury Publishing India Pvt. Ltd., 2013. 287 – 301. Print. [ISBN 978-93-82653-58-7]. “A Case Study on ‘Community Development by Capacity Building using ICT’”. Sustainability and Development: Paradigm Shift in Knowledge Creation and Innovation. Eds. Ajay Singh, Jay Mitra and Neeraj Awasthy. New Delhi: Bloomsbury Publishing India Pvt. Ltd., 2013. 417 – 434. Print. [ISBN 978-93-82653-58-7]. “Exploratory Study on Employability Skills and Competency Factors Required in Manufacturing, Services and IT Sector for Entry Level Management Job”. Sustainability and Development: Paradigm Shift in Knowledge Creation and Innovation. Eds. Ajay Singh, Jay Mitra and Neeraj Awasthy. New Delhi: Bloomsbury Publishing India Pvt. Ltd., 2013. 454 – 476. Print. [ISBN 978-93-82653-58-7]. “A Study of Two Wheeler Sector in Rural India”. Sustainability and Development: Paradigm Shift in Knowledge Creation and Innovation. Eds. Ajay Singh, Jay Mitra and Neeraj Awasthy. New Delhi: Bloomsbury Publishing India Pvt. Ltd., 2013. 616 – 623. Print. [ISBN 978-93-82653-58-7]. “What is More Important: Emotions or Rationalism?” presented at Tenth AIMA International Conference on Management at IIM Bangalore, January 6 – 9, 2013. “Understanding Communication through Indian Knowledge Tradition” presented at Third International Conference on Communication and Media (i-COME’12) organized by Universiti Utara, Malaysia at Parkroyal Resort, Penang, Malaysia, November 1 – 3, 2012. “Facets of the Theory of Dhvani – A Study of Anandavardhana’s Dhvanyaloka and Abhinavagupta’s Locana” presented at the International and Interdisciplinary conference on Meaning, Culture and Values: East and West organized by The Society for Indian Philosophy and Religion (SIPR), Elkins, West Virginia, USA and hosted by JNU, New Delhi, January 5 – 7, 2012. “The Power of Gunas in J. M. Coetzee’s Waiting for the Barbarians” presented at the Second IJAS Conference at Radcliffe Gym, Harvard University, Cambridge, Massachusetts, USA, May 29 – June 2, 2011. “Dusklands’ “The Narrative of Jacobus Coetzee”: An Indian Study of its Plot and Character,” presented at the 53rd All India English Teacher’s Conference organized by the Association for English Studies of India (AESI) at Gurukul Kangri Vishwavidyalaya, Haridwar, Uttarakhand, India, December 18 – 20, 2008. “Principles of Sanskrit Poetics in Contemporary Context: The Rasa-Dhvani Approach to J. M. Coetzee’s Slow Man” presented at the First International Conference titled “India in the World” organized by the University of Cordoba, Cordoba, Spain, March 7 – 10, 2007. “Case Method Teaching Seminars” organised by CRSI and Genpact, Gurgaon, October 20 – 21, 2013. “Basic Research Methodology”, an Internal FDP organized by Institute of Management Technology, Ghaziabad, August 23 – 24, 2012. “The Case Method in Management Education” organized by Indian Institute of Management, Ahmedabad, September 27 – September 30, 2011. “Recent Advances in Research Methods and Data Analytical Tools” organized by AIMA, New Delhi, February 24 – 25, 2011. An Indian Perspective to J. M. Coetzee’s Dusklands. Sadharanikarana and the Process of Communication. 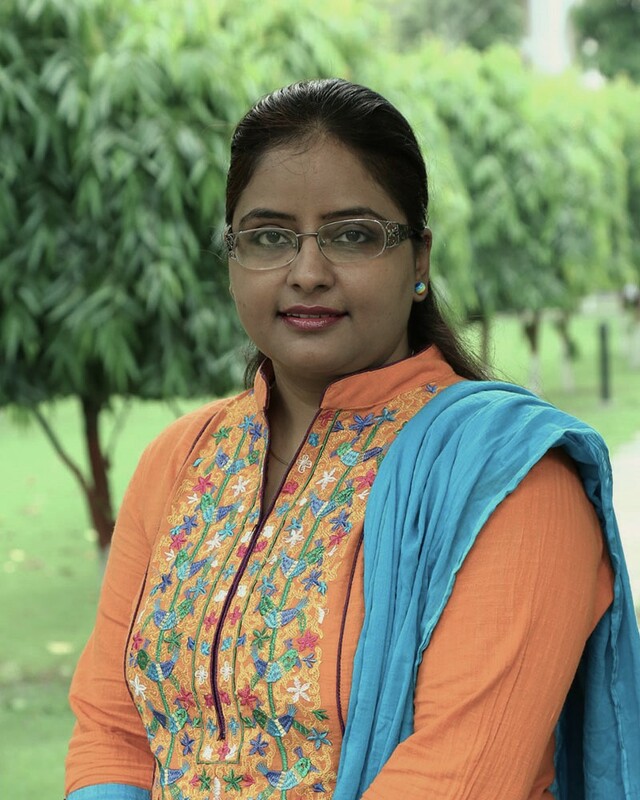 Combating Ethnocentrism: Shift from I to We, co-authored with Dr. Shalini Kalia, Assistant Professor, Business Communication, IMT Ghaziabad. Worked with Dr. Kapil Kapoor (Rector, JNU) for his prestigious project on Hinduism Encyclopedia. Actively involved in voluntary services. Taken Opportunity Classes at IIT Kanpur, which is meant to provide essential skills and guidance to the under-privileged and unemployed youth. Been a regular part of IIT’s counseling service, a students’ endeavour to provide counseling and guidance to the needy students.